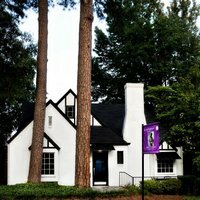 Jackson Fine Art is an established and internationally known gallery located in Atlanta. Founded in 1990, the gallery has three exhibition rooms, a print viewing area, a resource library with more than 1,000 books, offices, and a framing room. Rotating exhibitions provide viewers with new experiences every two months. Jackson Fine Art believes that education is an important role of the gallery and frequently presents collecting seminars and artist talks to the community.